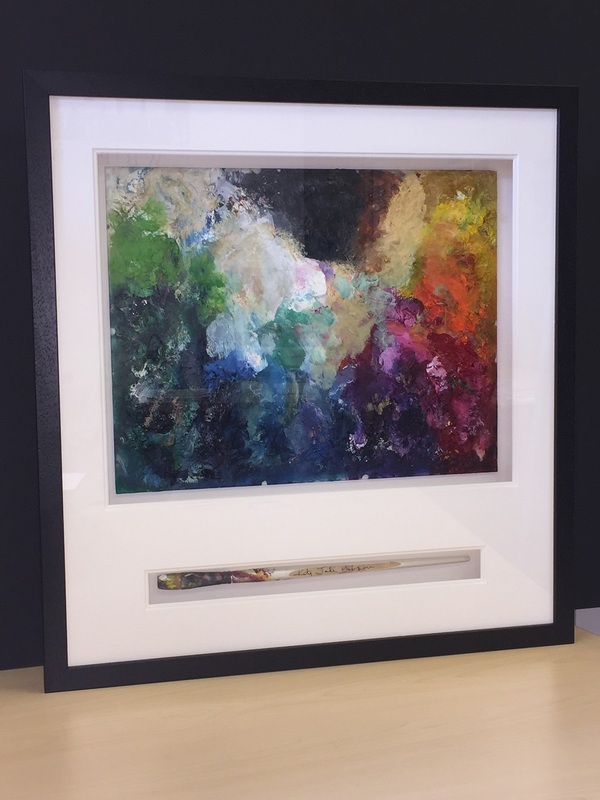 Popular artist Katy Jade Dobson will once again be showing her support for the charity, Cardiac Risk in the Young (CRY), as she launches a unique online auction of the palette and paintbrush that she used to create her acclaimed 2016 ‘21 Grams’ collection – now seen as potentially her most important and successful body of works to date. Katy Jade Dobson (a self-taught oil painter) has developed a vast following for her work – with a current waiting list of over 8 months for new commissions (generally sold for between £5,000–10,000). Well known on social media, Katy has developed a striking and individual style in creating oil paintings using vivid colours and often portraying wildlife, animals and nature scenes. Katy was first made aware of CRY following a private commission for a portrait by a family who lost their child to a cardiac condition. She was so moved by their story that she wanted to give something back to the charity, leading to the creation of this float frame work. Every week in the UK, around 12 young people (that is, aged 35 and under) die suddenly from a previously undiagnosed heart condition. 80% of these deaths will occur with no prior symptoms – which is why CRY is so committed to the importance of specialist, cardiac screening. Indeed, CRY’s pioneering screening programme now tests around 23,000 young people (aged 14–35) every year in the UK.